Price Trend emulates price variations and shows up or down trends. Each trend begins with zero value and continues to next zero. Greater values (positive or negative) reveal more power of trends. 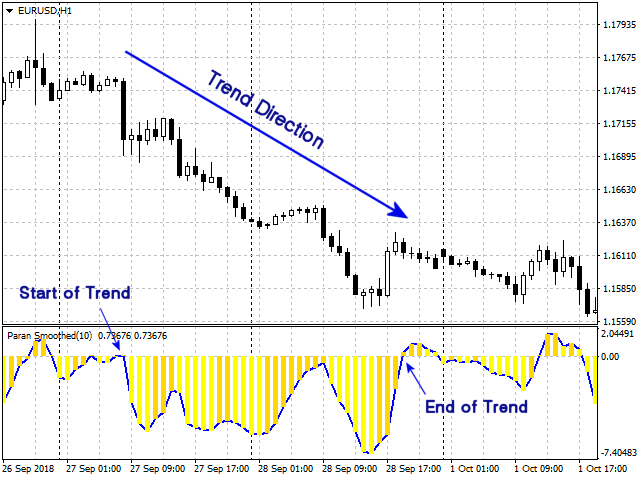 Each time the direction of trend changes, indicator crosses the horizontal axis and confirms beginning of new trend. 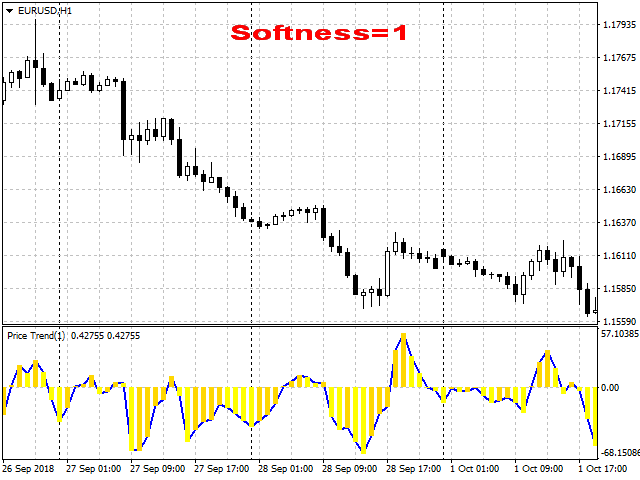 Positive values indicate uptrend and negative ones mean downtrend. 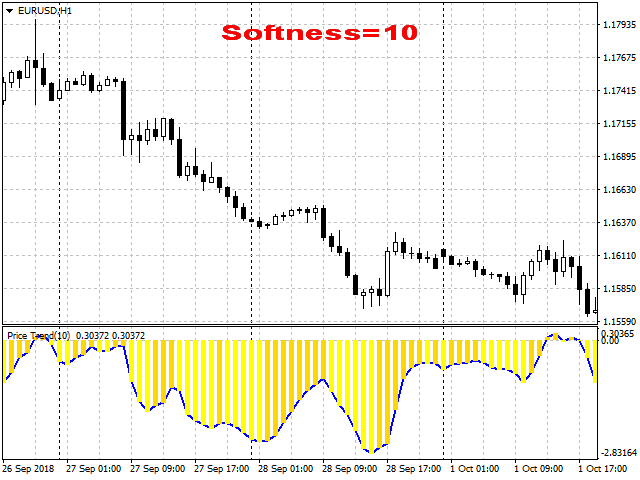 With higher value of SOFTNESS input parameter, indicator ignores little price changes and low trends. Therefore the indicator stays at its state longer as uptrend or downtrend. Bars have two almost similar yellowish colors. The darker one means bar value of greater than previous bar and vice versa. 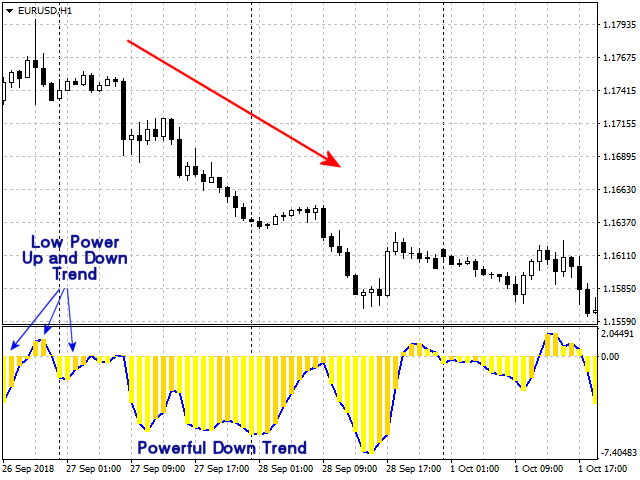 Trading with Price Trend indicator is simple. After starting a powerful trend, you can open a position. Powerful trend occurs when new bars have bigger values. As long as the indicator preserves its sign (positive or negative), trend continues the same direction, although some little direction changes take place. When indicator reaches its extremum (maximum or minimum) trend goes to change its direction. This is time to close the opened position and take profit.